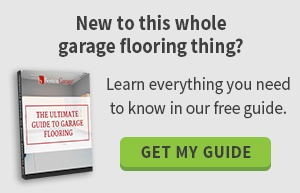 What have you heard about garage floor coatings? Garage floor coatings are unusual enough that there are some myths people may have heard about them. You may have heard that they only last a few years, or that it's better to do them yourself. You may even have heard that it's as simple as slapping on some paint. But here's the truth about garage floor coatings, for anyone who is interested in improving the durability and look of their garage. A DIY kit is not comparable to professional coatings. 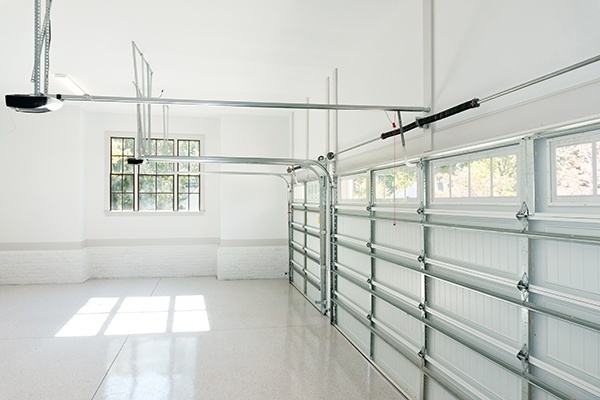 Not only are the materials not as likely to withstand the rigors of ordinary use, but there is a lot of additional work that needs to go into properly coating a garage floor. Before applying the epoxy, the entire floor will have to be treated with special chemicals that help the epoxy adhere. The surface will also often be sanded or acid-etched to make it more receptive to the coating. In short, the goal isn't just to provide a thin shell over the garage floor itself -- the goal is to create a stronger, bonded surface that will last for years to come. Comparatively, a DIY kit will simply provide a temporary appearance boost rather than a truly resilient coating. A professional garage floor coating can last anywhere from ten to twenty years. Many people have this misconception because they are used to DIY garage floor kits rather than professional coatings. This is why it's usually less costly (and less troublesome and time-consuming) to invest in a professional coating rather than try to perform the upgrade yourself. There are also different types of coatings that can be used, varying both in cost and in durability. Some installers may use an ordinary paint or lower quality epoxy, while the best garage floor companies will use professional, industry-grade solutions. Though epoxy coatings are very similar to paint, paint cannot be used as a substitute. Epoxy coatings are incredibly hard and resilient. They form a strong, polished resin finish once they have completely cured and dried. Paint will flake off, dent, scratch, and otherwise become damaged. There are roll-on epoxy solutions that are sold as DIY garage floor kits, but they are generally not of high enough quality to last a long time. The right type of solution needs to be used on a garage floor and it isn't always as easy to work with as paint. If you want to invest in a garage floor coating, it's a good idea to discuss it with the professionals or give us a call for a free on-site design consultation. We can help you with any concerns or misconceptions you may have had about the process.